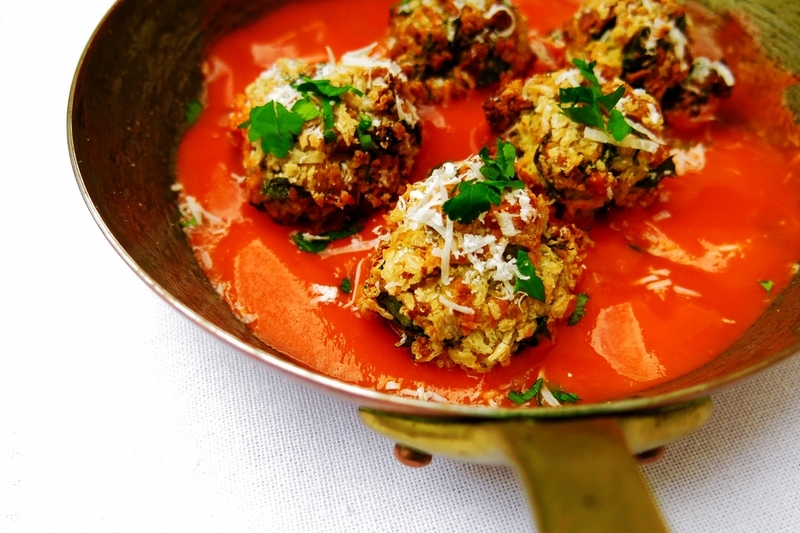 With spinach, cheese and lots of herbs, they're super moreish, full of flavour, light little balls of bliss. And they’re pretty healthy too. Bonus. Best served with a homemade tomato sauce, either on their own or with some spaghetti and lots of parmesan and fresh herbs on top. As always, try to get organic ingredients where you can. This is a good one to get the kids involved in - lots of fun getting your hands messy and they're just the right size for little hands to eat! Place the chopped spinach, oregano and cheeses in a bowl and mix well. Then add the whisked eggs, mashed up chick peas, and enough breadcrumbs to bind it all together - about 2 cups should do it, so you have some left over for rolling. Combine well, but try not to stir too much so they say nice and fluffy. Next take a tbspn of the mixture and roll it into a ball then coat it in some breadcrumbs and place on the baking tray. Do the same with the rest of the mixture then drizzle with olive oil & put in the oven for about 45 mins or until they’re golden on top, being careful to turn them every 15 minutes so they bake evenly. While they’re baking, start the tomato sauce. Heat half the oil in a large saucepan and sweat the onion, garlic, salt and pepper on a medium heat for about 15 minutes. When it’s all soft and golden, add the fresh tomatoes and the rest of the oil and cook on a low-medium heat for 15 minutes. Add the tinned tomatoes and bring to a gentle simmer. Cover and leave to bubble on the lowest heat for about 1 hour. Turn off the heat and add the oregano and basil. Taste and see if it needs seasoning. When you’re happy with it, get your hand whizzer out or large blender & blitz the sauce until smooth. Serve the non-meatballs in the sauce, with or without spaghetti (I like brown-rice or wholewheat spaghetti) and then grate some more parmesan and chop some basil to serve. Goes really nicely with a simple rocket salad. Delizioso! 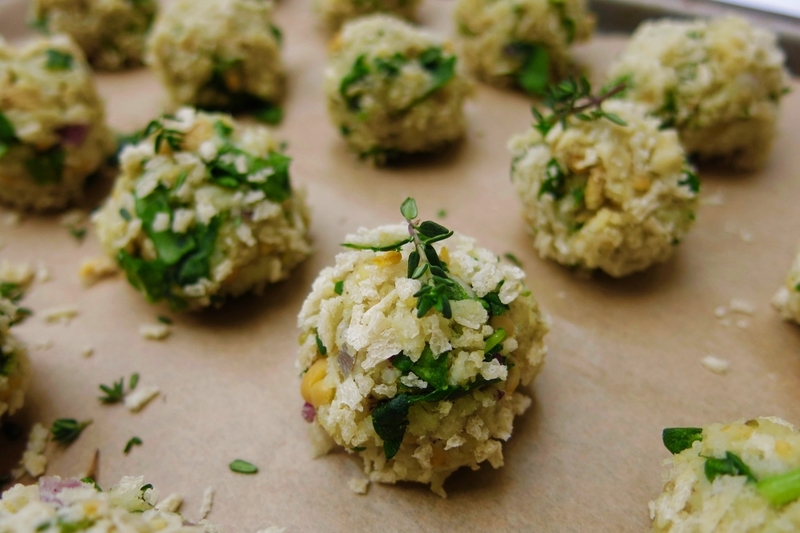 Top tip - you can freeze any uncooked leftover balls, but wrap them well and eat them within a month. Frozen sauce should last 3 months.